This memorial website was created in memory of our loved one, Eric Lomax, 92, born on May 30, 1919 and passed away on Unknown 8, 2012. Where Eric Lomax is buried? 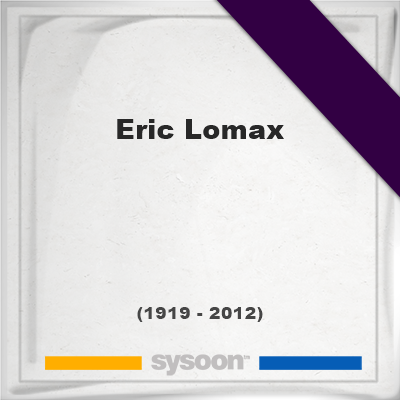 Locate the grave of Eric Lomax. How to find family and friends of Eric Lomax? What can I do for Eric Lomax? He was a former British Army officer who was captured by The Imperial Japanese Army during the fall of Singapore in 1942. Lomax became one of the thousands of servicemen used as slave labour to build the railway. His harrowing experiences inspired him to write an award-winning book, The Railway Man. This book has been adapted this year for a movie in which Oscar-winning star Firth plays him in later life, with Jeremy Irvine playing him in his younger days. Note: Do you have a family photo of Eric Lomax? Consider uploading your photo of Eric Lomax so that your pictures are included in Eric Lomax's genealogy, family trees & family history records. Sysoon enables anyone to create a free online tribute for a much loved relative or friend who has passed away. Address and location of Eric Lomax which have been published. Click on the address to view a map. Eric Lomax was born in Edinburgh, Scotland, United Kingdom. 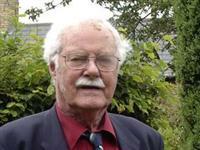 Eric Lomax died in Berwick-upon-Tweed, Northumberland, England, United Kingdom. Memorial of Henry E. Catto, Jr.